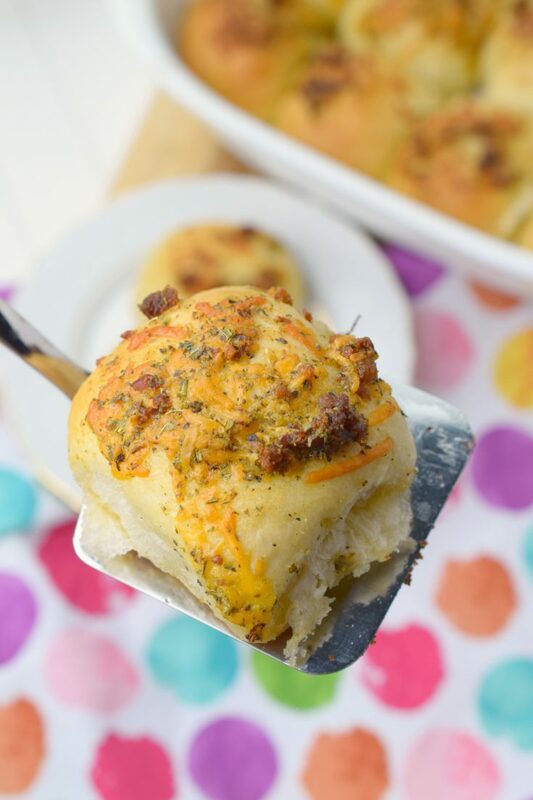 Buttery Bacon Cheddar Rolls - Who Needs A Cape? 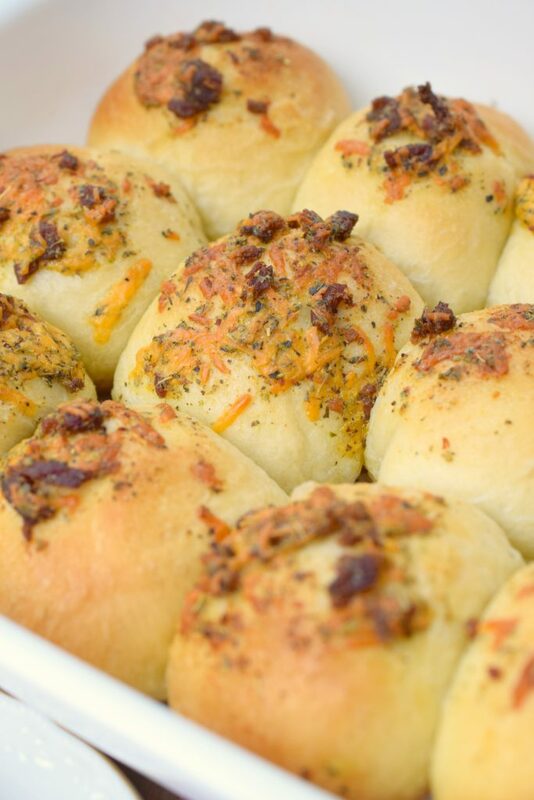 Add Buttery Bacon Cheddar Rolls to your holiday menu. 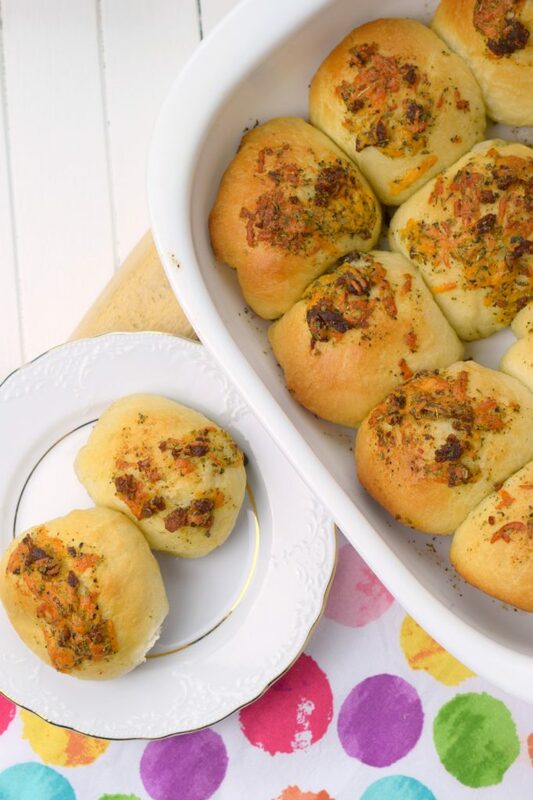 Easy to make, these flavorful rolls make a great addition to dinner and brunch. It has been such a tasty week, but alas today marks my final addition to #EasterBrunchWeek. 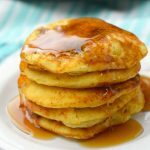 I hope you’ve found some inspiration for your upcoming Easter brunch menu and many brunches after that. 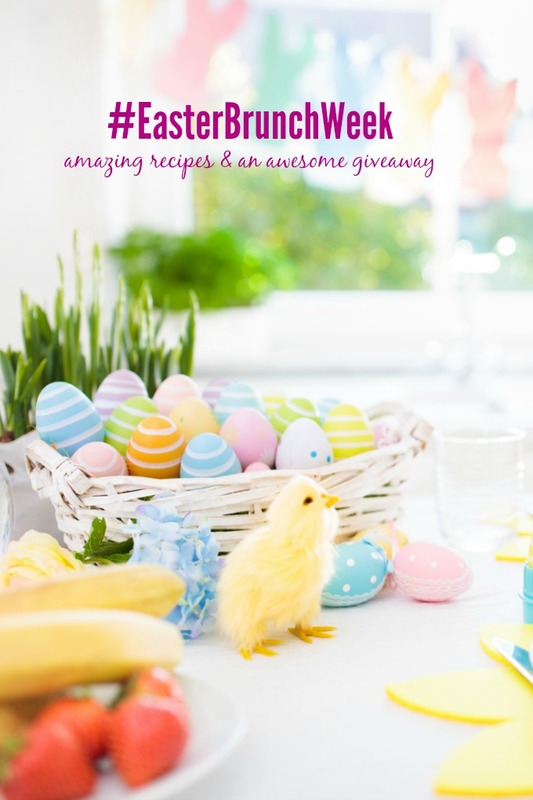 Did you miss my other recipes for #EasterBrunchWeek? I’ve listed them all below. 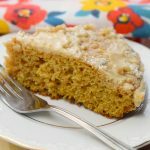 Each one is easy to prepare, and perfect for a casual yet oh so tasty gathering. I’ve brought you sweet, breakfasty (that’s a word right? 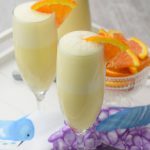 ), and bubbly throughout #EasterBrunchWeek. I’m ending the week with savory. 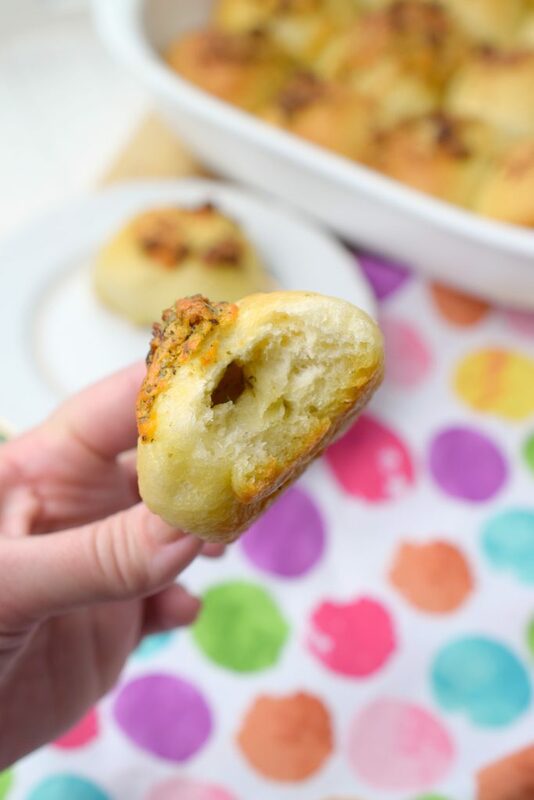 Today’s new recipe is for Buttery Bacon Cheddar Rolls. 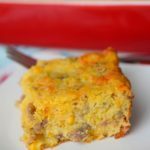 Buttery Bacon Cheddar Rolls are such a great addition to brunches, holiday meals or any meal for that matter. I envision these alongside a hearty potato and egg casserole, or next to sliced ham and mashed potatoes. 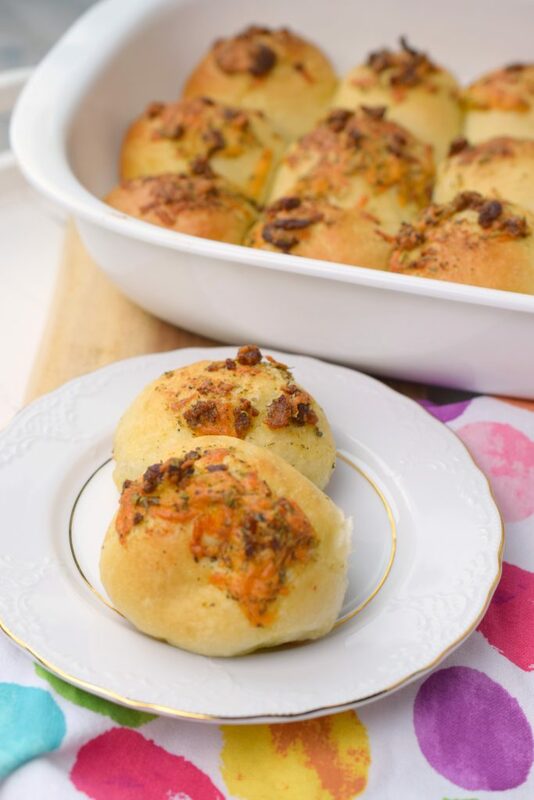 Rhodes Bake-N-Serv® frozen yeast dinner rolls got these Buttery Bacon Cheddar Rolls off to an easy start. 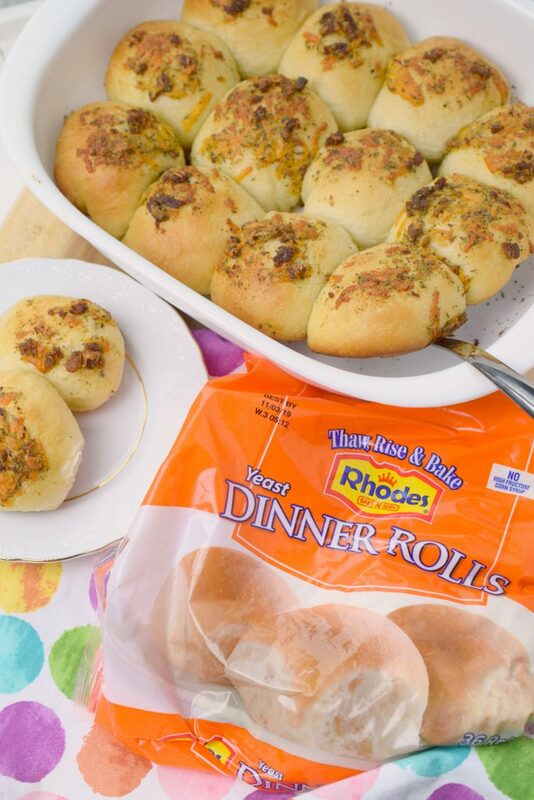 I love having items such as Rhodes Bake-N-Serv® frozen yeast dinner rolls in my freezer as a sanity and time saver. 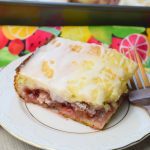 With products including home-baked quality frozen bread and roll dough, frozen sweet rolls and partially baked frozen rolls you’ll find exactly what you need. 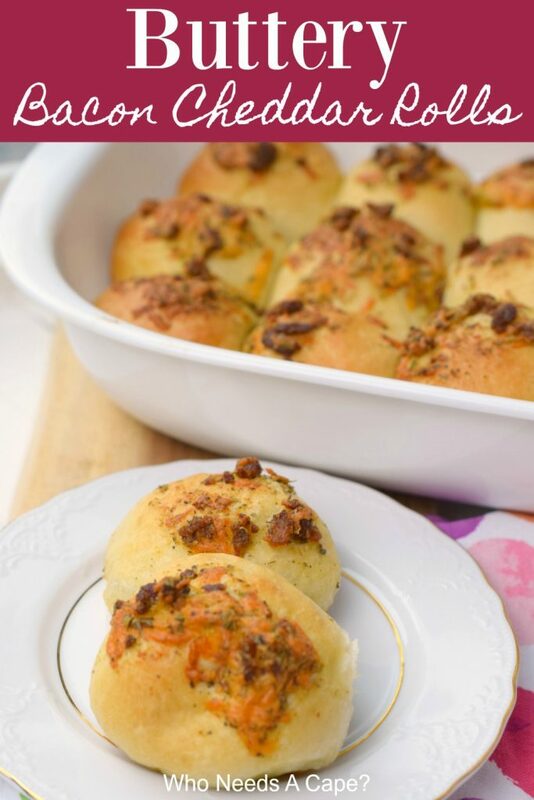 A simple seasoned butter mixture, bacon and cheddar add the flavor sending these rolls off the charts. 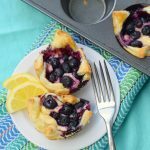 Not only does the mixture go on top of the rolls, but there’s also a little baked in the center too, double delish whammy! 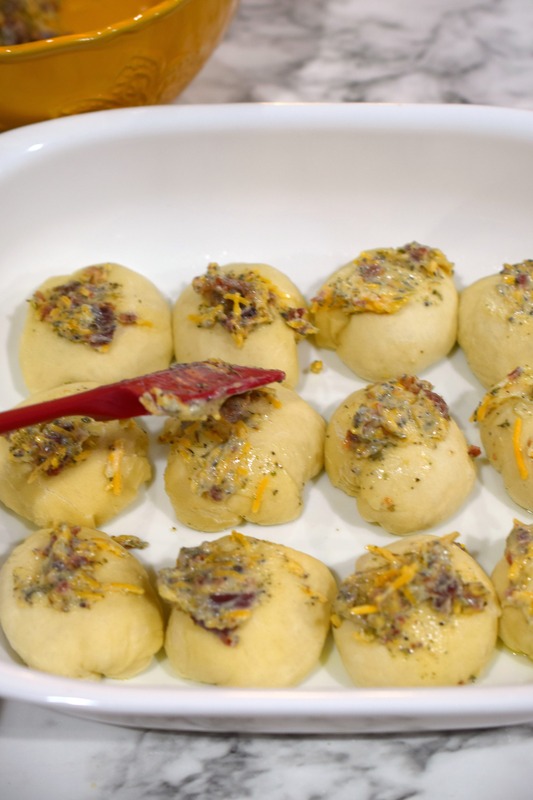 What do you need to make Buttery Bacon Cheddar Rolls? 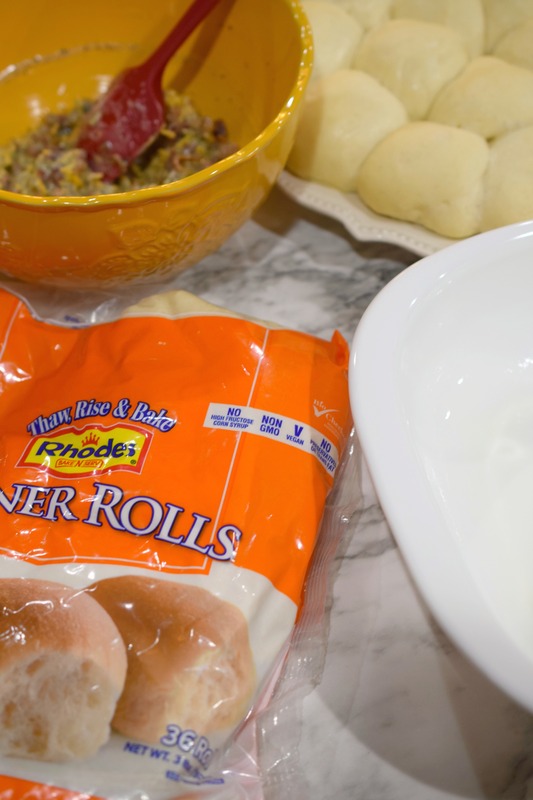 Follow the package directions on the Rhodes Frozen Rolls for thawing and rising. I chose the refrigerator method. Spray pan thoroughly. 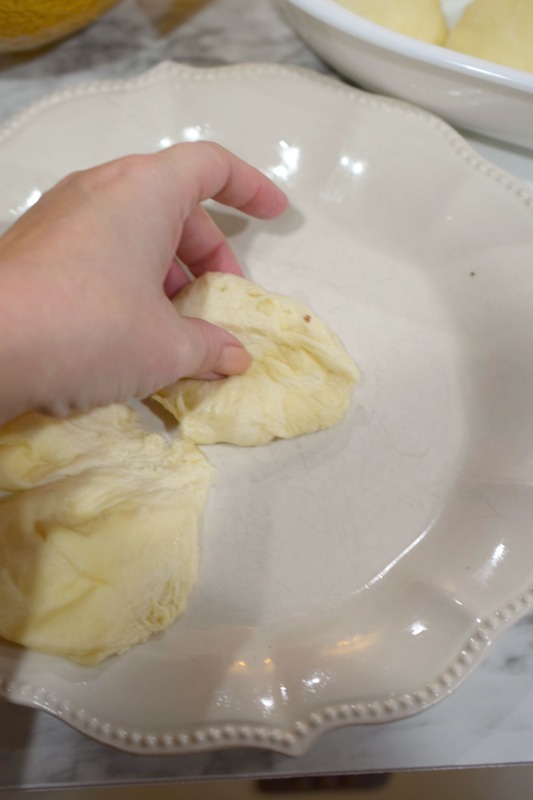 Also, be sure to spray plastic wrap that covers rolls as they rise. I added aluminum foil onto baking pan the last 10 minutes of baking to stop rolls from getting too brown. 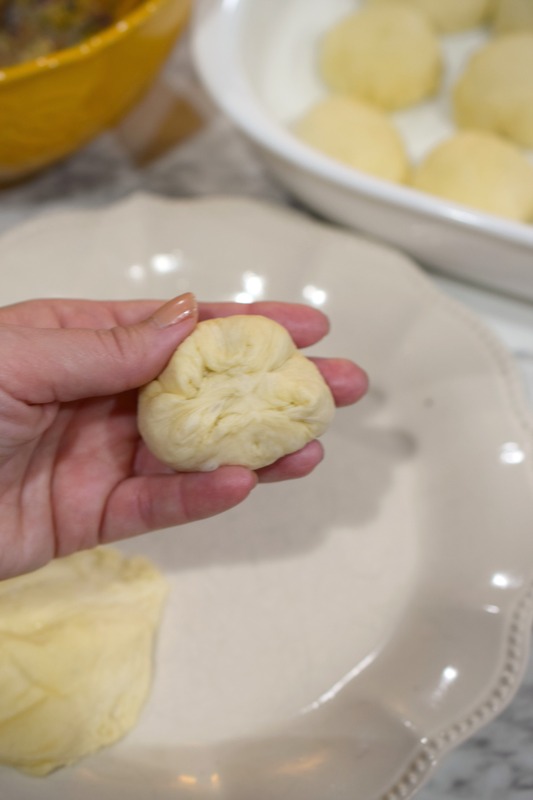 The recipe makes 15 rolls, you can half the recipe and make approximately 8. Preheat oven to 350° degrees. Spray 13x9 baking pan with non-stick cooking spray. 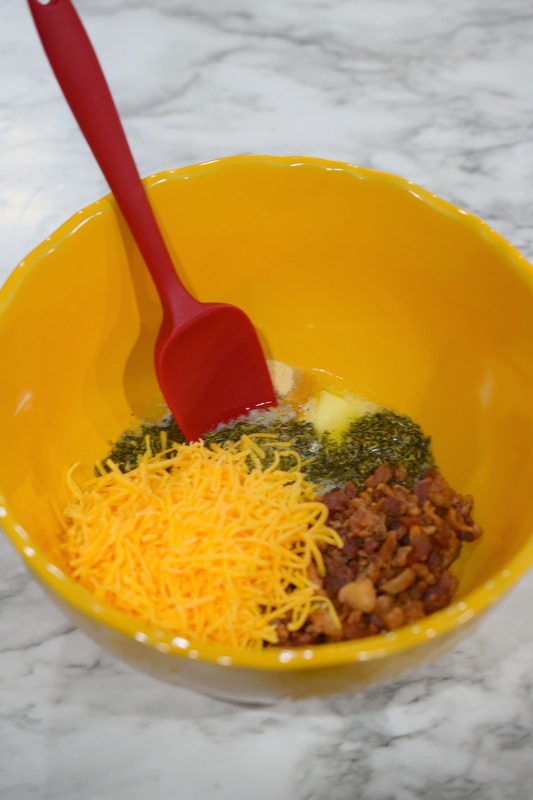 In bowl combine: butter, bacon, cheddar cheese, Italian seasoning and garlic powder. Take one roll and make a dent in the center. Place approximately 1 teaspoon of butter mixture into center where you made a dent. 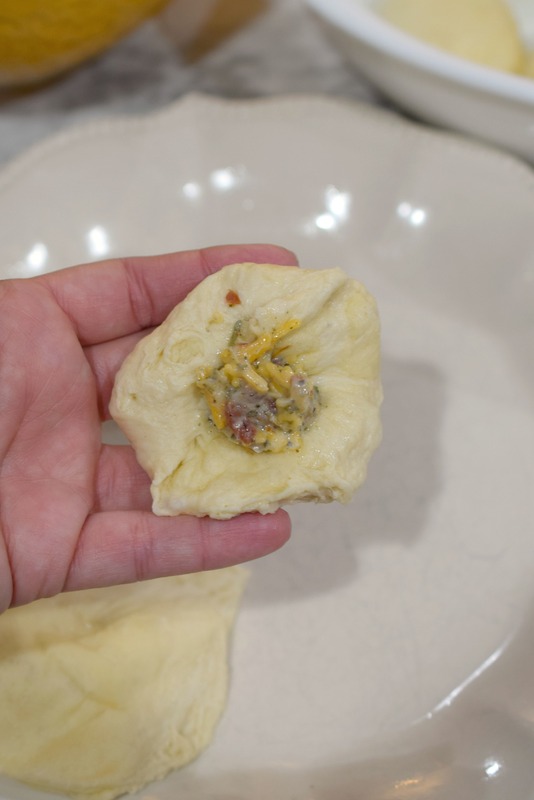 Close edges of roll around butter mixture in center. Place side of roll with closed edges down in pan. 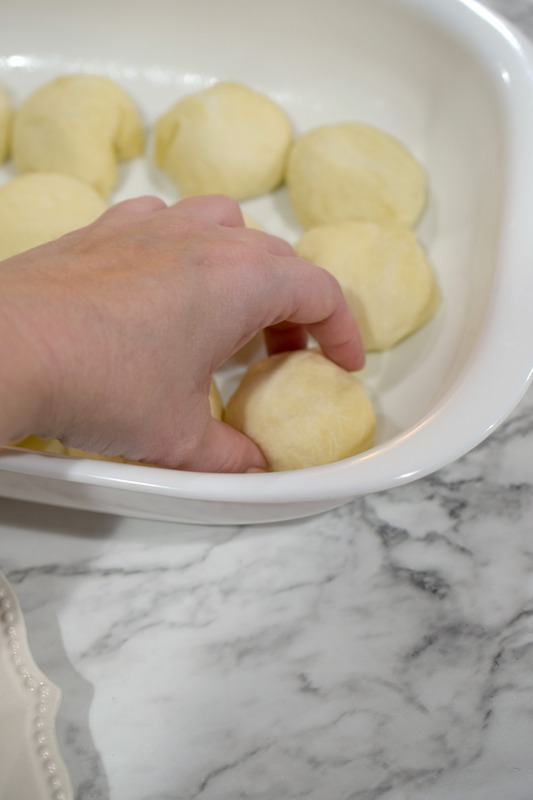 Repeat until all rolls are filled and placed in pan. Spread remaining butter mixture over tops of rolls.